Our mission is to build and maintain a reputation for providing the highest standards in both routine dentistry and cosmetic dentistry – in a modern, friendly, relaxed, and comfortable atmosphere. 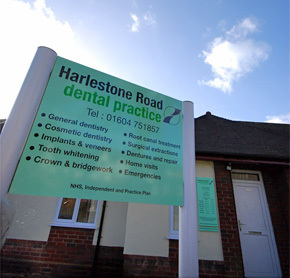 We take pride in delivering uncompromised quality dentistry at great value for money. Our practice is solidly based on mutual respect and trust within our team, as well as with our patients. Our patients individual needs and welfare are at the heart of everything we do. We approach our customer service with diligence and integrity. We believe in, and highly encourage, professionalism, which is why all our team members are highly-committed to knowledge .expansion, enabling us to offer all-round patient care in dentistry with maximum efficiency. We believe in diversity– our diverse team of individuals makes it possible for each team member to contribute his or her unique expertise, skills, and personality to the overall work ethos that we all adhere to. So we can in-turn offer our patients the best in terms of modern dental techniques and developments. We believe in the importance of providing personal care to our patients. We treat each case individually to give you our undivided attention. Promote an atmosphere of open communication. Provide high-quality patient care and superb customer service is our priority.